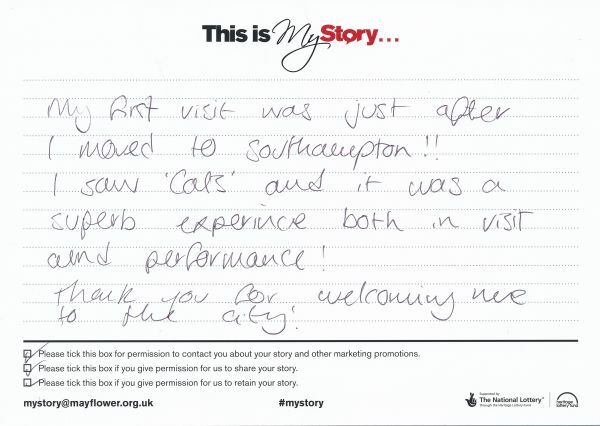 My Story card: Samuel Biscoe remembers being welcomed to Southampton on his visits to Mayflower Theatre. My first visit was just after I moved to Southampton!! I saw 'Cats' and it was a superb experience both in visit and performance! Thank you for welcoming me to the city!